LDK Solar's plant has the capacity to produce 15,000mt of polysilicon a year. Image courtesy of Warut Roonguthai. 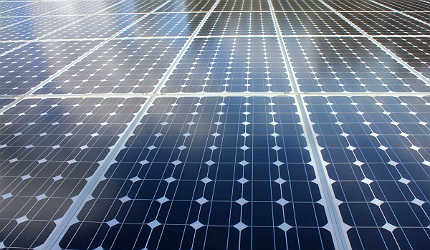 Polysilicon produced by the facility is used in the production of solar cells. Image courtesy of DebbieMous. 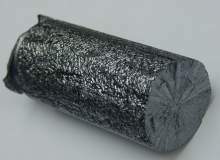 The Xinyu plant also produces 90,000mt of trichlorosilane a year. Image courtesy of Ben Mills. LDK Solar’s polysilicon plant is located in the city of Xinyu (Jiangxi province), in China. 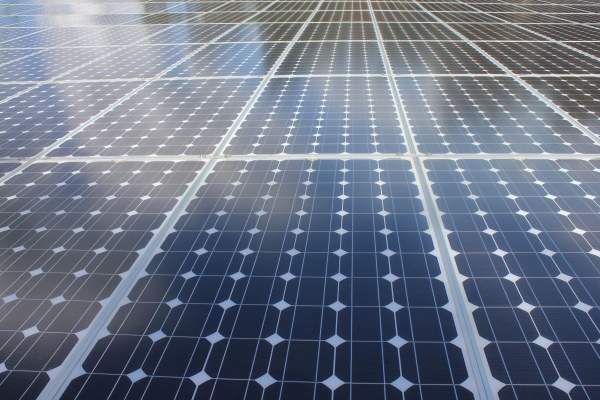 Polysilicon manufactured at the facility is used to produce solar wafers, which are the main raw material for the production of solar cells. The Xinyu plant has an annual capacity of 15,000mt of polysilicon and 90,000mt of trichlorosilane (TCS). It is the largest polysilicon facility in the world and located near LDK’s headquarters. The plant was built with an investment of $1.2bn. LDK was set up in 2005 in China and has since expanded its presence to establish two polysilicon manufacturing facilities and an ingot and wafer manufacturing facility. The polysilicon plant is LDK’s second polysilicon production facility in China. The first plant is located in Xiacun, in Xinyu, which has an annual capacity of 3,000mt. The two plants provide LDK with a combined annual capacity of 18,000mt. In November 2009, LDK sold a 15% interest in the plant to Jiangxi International Trust and Investment for $219m. The decision was taken to improve LDK’s financial position and also provide operational flexibility. In April 2011, LDK announced its plans to build a new production line to manufacture silane gas at the Xinyu plant. 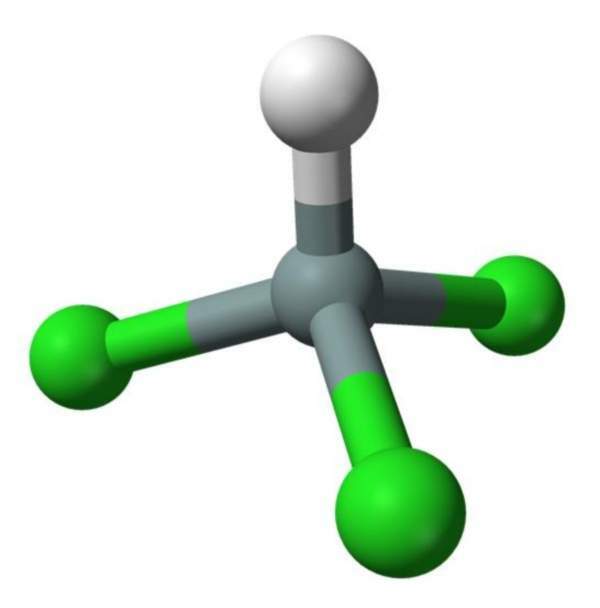 Silane gas is used in the manufacture of solar cells. The new line has a capacity of 2,000mt a year and was completed in late 2011. The facility became fully operational in May 2012. The new line will help LDK fulfil domestic demand for silane gas. LDK is also carrying out debottlenecking and hydrochlorination projects at its plants. A new line is also being added to the Xiacun plant. Completion of these projects will enable LDK to bring its total annual polysilicon production capacity to 25,000mt. The plant is divided into three areas – polysilicon production, off-gas recovery and TCS production. Polysilicon production consists of three trains of 5,000mt capacity each. Each train includes reactors and converters. "The Xinyu plant has an annual capacity of 15,000mt of polysilicon and 90,000mt of trichlorosilane (TCS)." Construction of the Xinyu plant commenced in August 2007. The project was fast-tracked and completed in 20 months after its ground-breaking. About 8,000 people were working at the plant site during peak construction. By June 2008, the plant was equipped with reactors and distillation and purification towers. Nitrogen, hydrogen and de-ionised water systems were also installed at the plant. The first train of the plant was completed in September 2009 and became fully operational by May 2010. The second train was completed in May 2010. By the end of September 2011, the third 5,000mt train was mechanically complete. Polysilicon is produced from sand, which is first processed using hydrochloric acid. The sand is then further processed and purified to produce polysilicon. Emerson Process Management was the main automation contractor for the plant. It was responsible for system integration and commissioning. Emerson supplied its PlantWeb digital plant architecture and the DeltaV digital automation system. It also supplied its AMS Suite maintenance software to manage calibration and diagnostics. The plant is equipped with 1,800 Micro Motion Coriolis flowmeters supplied by Emerson, which is the largest concentration of flowmeters to be installed in the world. In February 2008, CDI Engineering was contracted to provide basic engineering services for the TCS plant. "The polysilicon plant is LDK’s second polysilicon production facility in China." Fluor was appointed as the engineering, procurement, construction, and maintenance (EPCM) contractor for the plant in April 2008. Basic engineering services for reactors, converters, offgas recovery units and other facilities were provided by several companies. Fluor was responsible for integrating all the packages and providing detailed engineering services for the plant. It also worked in collaboration with Chinese design institutes to design the utilities, offsites and other infrastructure at the plant. In November 2009, ABB was awarded with a $36m contract to supply electrical systems and equipment for the plant. ABB supplied switchgear, transformers and other equipment. The contract also included provision of engineering and project management services. The vinyl acetate-ethylene (VAE) copolymer dispersions plant of Wacker Chemie, at the Nanjing Chemical Industry Park in Jiangsu province of China, is currently undergoing an expansion phase. German chemicals manufacturer Wacker Chemie is building a new polysilicon plant in the state of Tennessee, US.